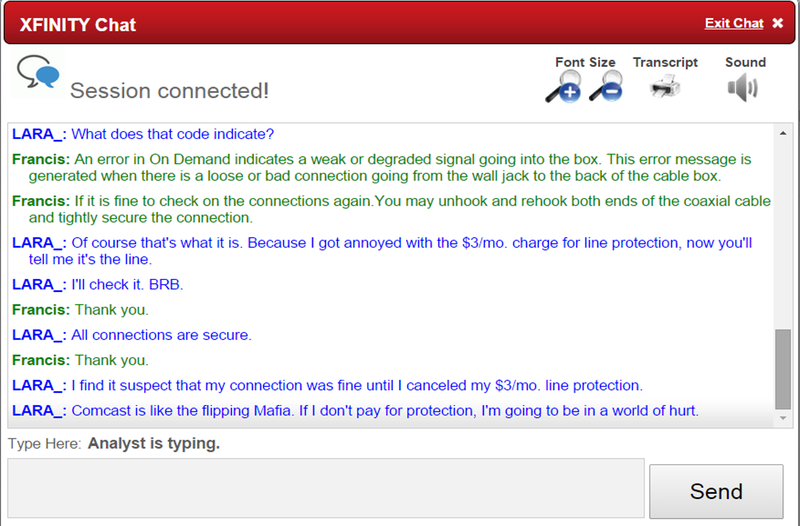 The best exchange I’ve ever had with a Comcast customer service rep.
Joe left for work and I settled in on the couch. Only, I couldn’t access that episode of The Good Wife. Something was wrong, the error message told me, but it should be corrected shortly. I went to do something else. An hour later, I tried again. Still wasn’t working. I tried to access a different episode of The Good Wife. None of those worked either. I tried another show altogether. No go. On Demand simply wasn’t working. 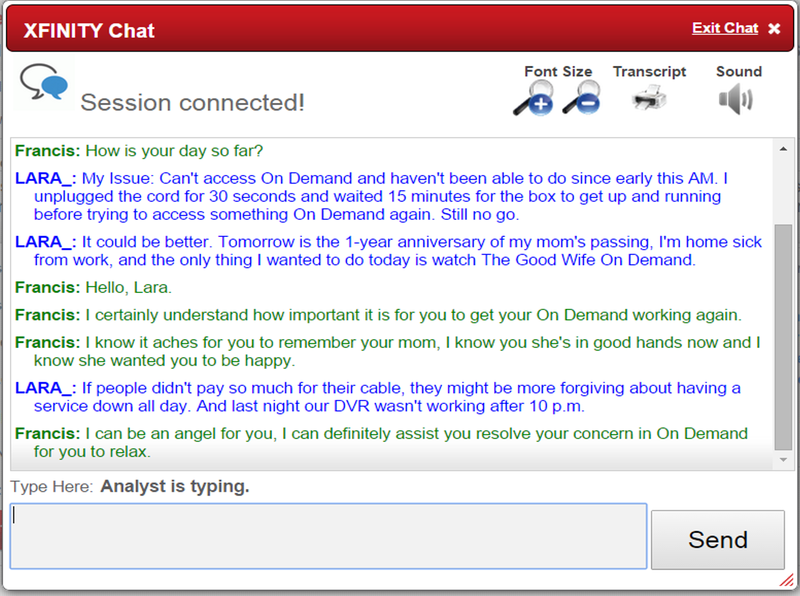 I logged onto my Comcast account hoping to message with a virtual customer service rep. Instead, I was told that there was an outage reported in my area expected to be fixed by noon. I went to do some other things. At 12:30, I checked my online account. Still down. At 3:30, I saw that service had been restored. I went to watch The Good Wife. I still couldn’t access it. 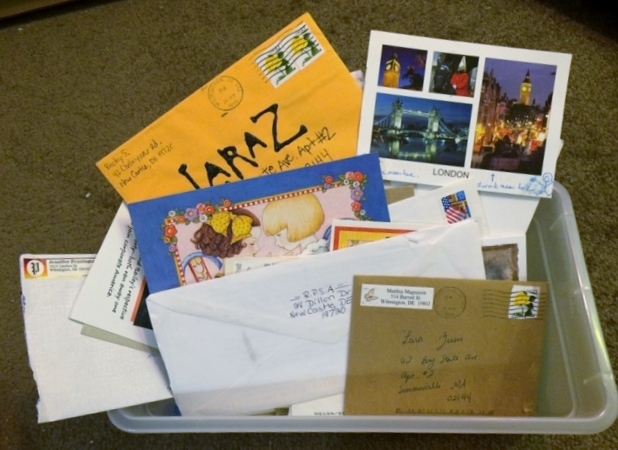 A new message appeared online saying that some people were still having difficulties with their service. Unplug the box, it said. Count to 30, then plug it back in. This will restore service. LARA_ > It works! It works! It works! LARA_ > Thank you, Francis! Francis > Heaven touches us on that part! Francis > Now you will be able to watch your Good Wife episodes! I was sending Joe the screenshots of our exchange as it was going on, in part because my enthusiastic new friend made me smile. 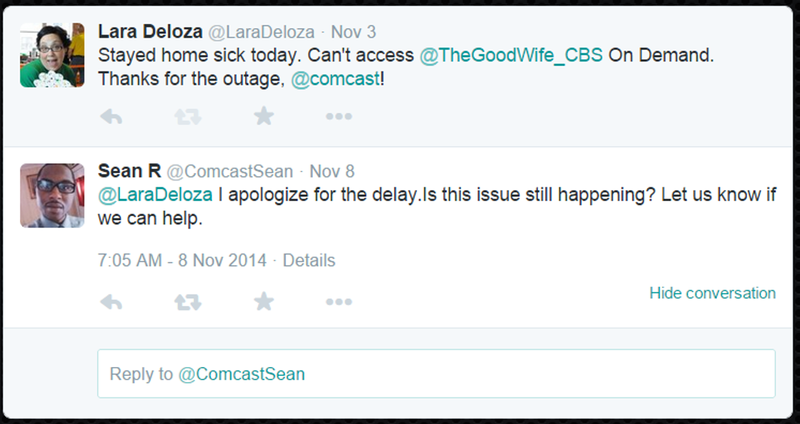 I can honestly say I’d never had a better interaction with a Comcast customer service rep EVER. It’s an interesting strategy – having the customer service reps tweet from what looks more like a personal account. Strange things are afoot at the Purebread Deli. The Purebread Deli & Cafe is this adorable, dog-themed coffee shop that also has really yummy sandwiches (all of which are named after dogs, naturally). It’s a local chain, and there’s a location not far from my house. Even so, I don’t go there all that often. But I met an old friend from high school there for coffee a few weeks back, and tonight I was meeting a new friend for a hot beverage. As I’m walking in – literally, walking in – I run into Ellen, a student from one of my creative writing classes at UD. She tells me that Michael, another student from that class, is parking the car. Then he comes in and it’s like OH HI and suddenly we’re having old home week at the Purebread Deli. He tells me that he and Ellen met in my class and fell in L-O-V-E because of that class. Which is totally adorable. I tell them that this summer, two students who took my class (but not at the same time) got married. “Go teach a class!” Michael yells to me, as he goes to place his order. “I make love connections!” I quip back. So that’s a happy good thing, right? Right. Later, as I’m lingering over hot beverage with the new friend, Pearl Jam’s “Just Breathe” comes on over the sound system, and my own breath catches. This is the song that I watched Joe’s aunt Brenda sob to at his uncle Tommy’s wedding, about nine months after their father (Joe’s grandfather) passed away. This is the song I listened to the day I found out that Marian was gone. This is the song that I played at my mother’s funeral, the one that nearly destroyed me that day. Tonight, I stopped speaking, mid-sentence. I lost my entire train of thought. It took every ounce of willpower to keep myself from crying. Right there, in the middle of the adorable dog-themed coffee shop. But guess what? When the song ended, and the next one began, it was the exact same song. Only, this version was sung by a different artist. It was a total WTF moment. My conversational skills deteriorated after that. You probably know this song, but in case you don’t, it’s below (lyrics included). And while I wouldn’t call this a happy good thing – the two versions of “Just Breathe,” how utterly random – I wouldn’t call it a sad bad thing, either. It’s just…a thing. It reminded me how, at the funeral, our officiant Metty said something that – up until that point – hadn’t clicked for me. 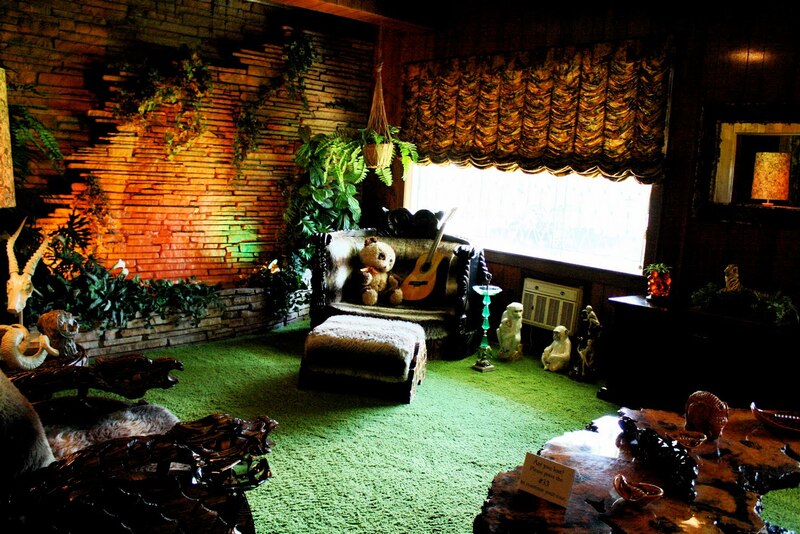 My mom died in her sleep. She stopped breathing. And the song I chose to play?